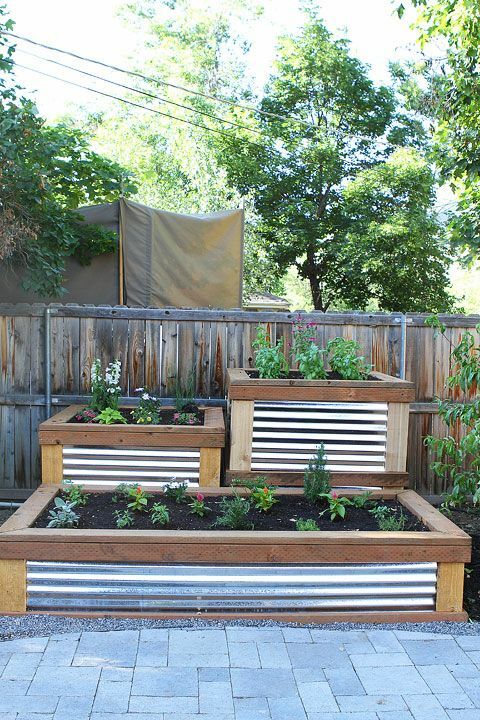 Choosing tiered planters instead of plain ones is a great alternative to vertical gardening. 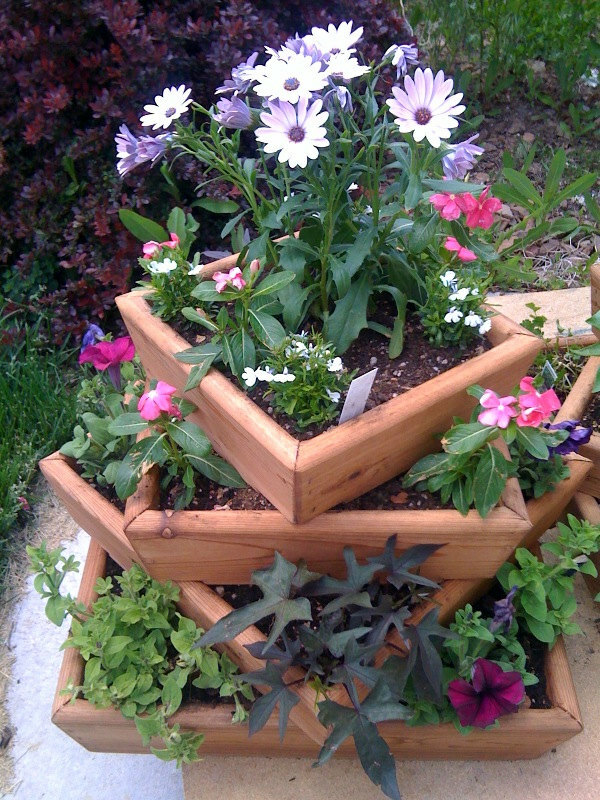 This type of planters can fit more plants then the regular planters and can be quite versatile. 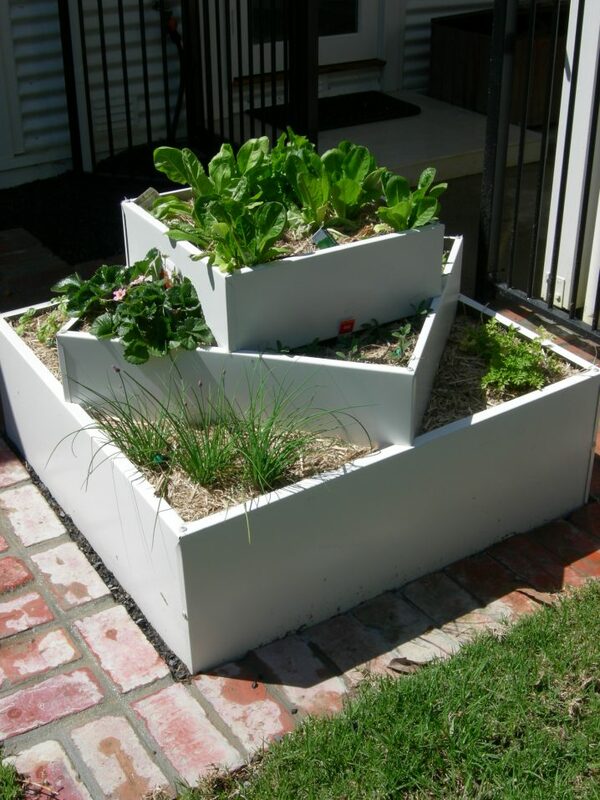 And today, we want to show you just some of the most amazing tiered planters that you can choose for your beautiful yard. You can buy some such planter, but also you can easily make some out of different materials, as well as out of some old items. And you can either choose to plant the same plant in all levels, or maybe different ones to divide them. Let’s check out now the ideas that we have picked for you today and choose which one of them is your favorite. 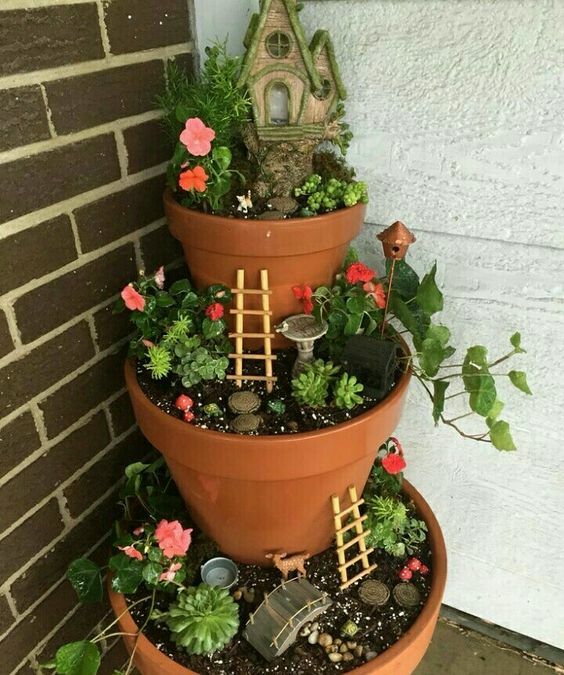 Yes, you can use the simple terracotta pots to make a tiered garden, and not a simple garden but a fairy one. So, be creative and make it look as magical as possible. 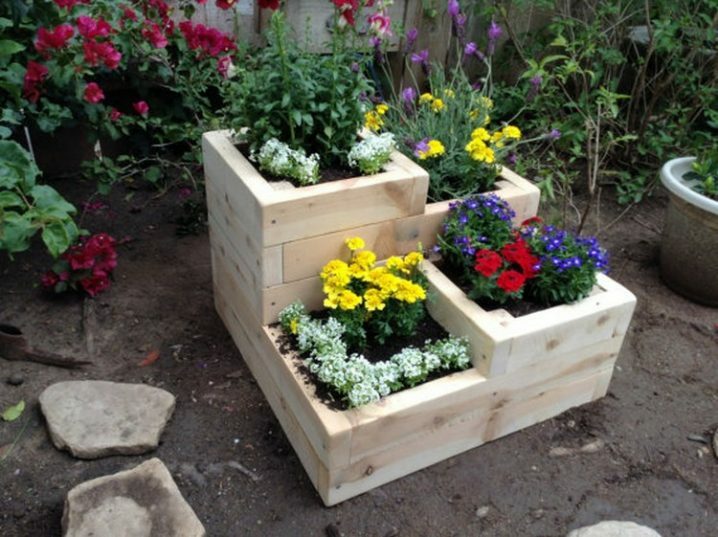 Pallet planters are also one of the most common choice, so instead of choosing a single one, you can take several of them and arrange them in several levels. 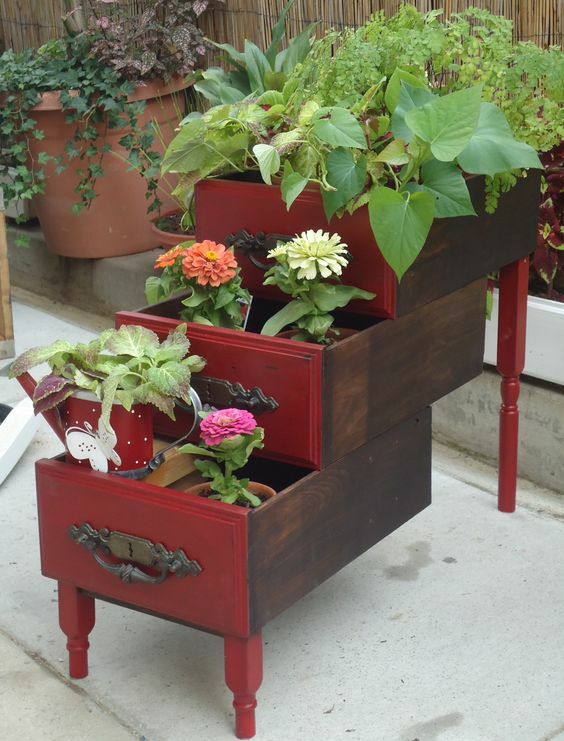 The old dresser drawers can be easily repurposed into planters. Fill them with soil and plants, or maybe place different pots with plants in each drawer. 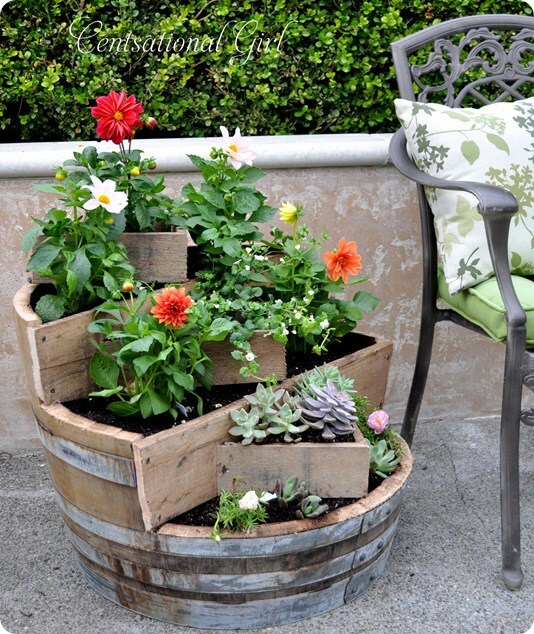 Wine barrels can be also repurposed into tiered planters. 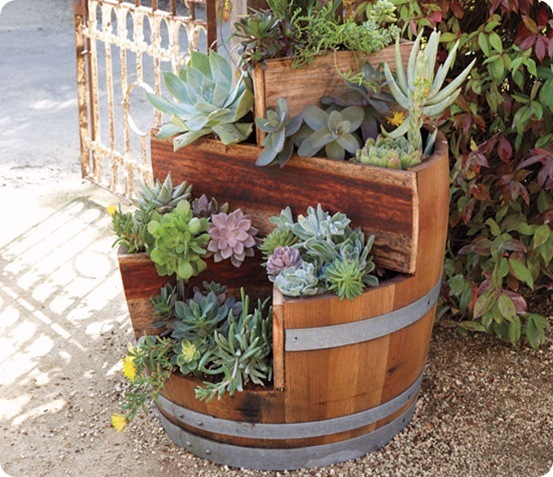 They are perfect for planting some succulents, because their rich hues and texture can look great in combo with the wooden barrel. 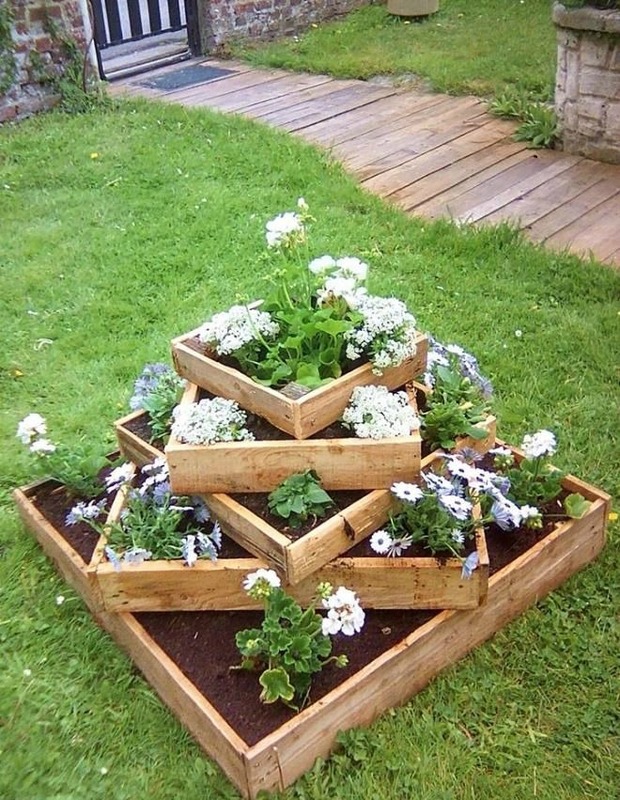 A spiral garden bed is another great alternative to make a tiered planter. 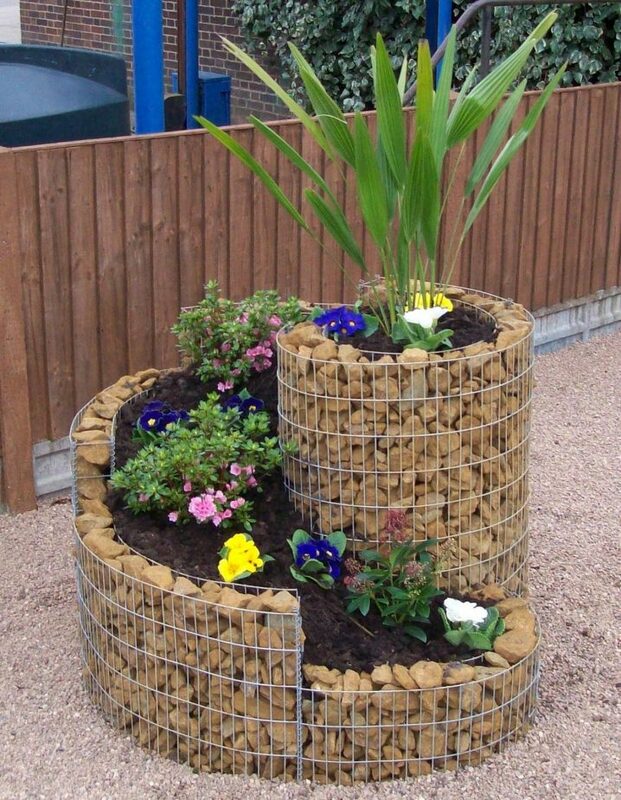 It can be a simple one, or maybe one with gabion wall like this one here that looks quite eye-catching. 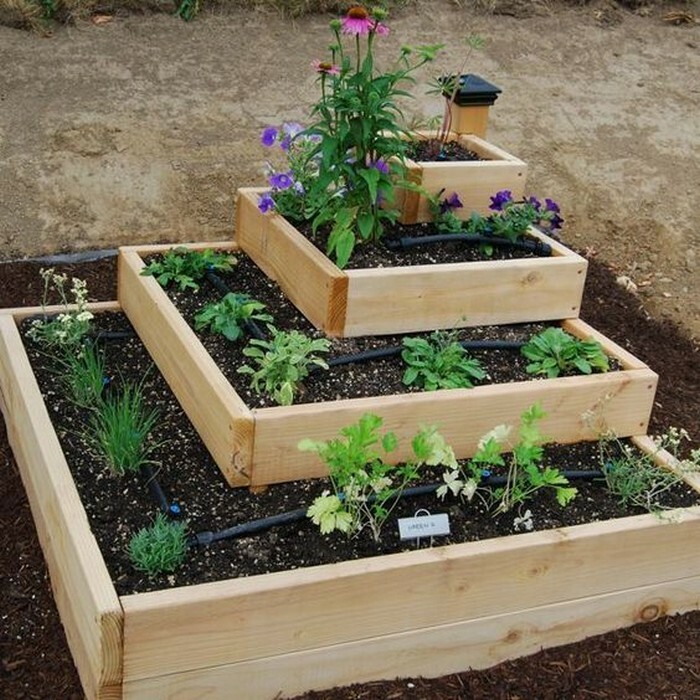 This pyramid will help you plant different plants on 5 levels and is great alternative if you want to save on floor space. 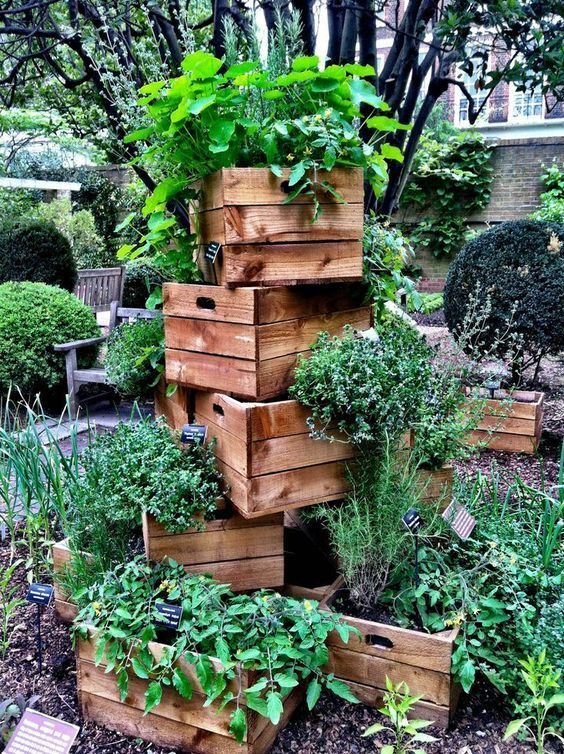 This may be one of the easiest way to building a tiered garden. 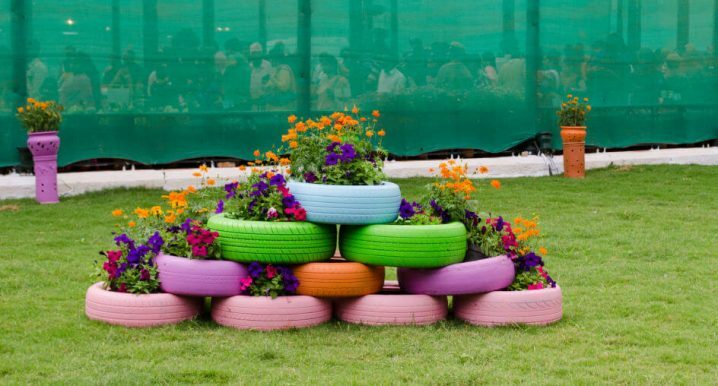 Simply use tires as planters and arrange them on several levels. And yes, paint the tires in different colors to make it look even more eye-catching. 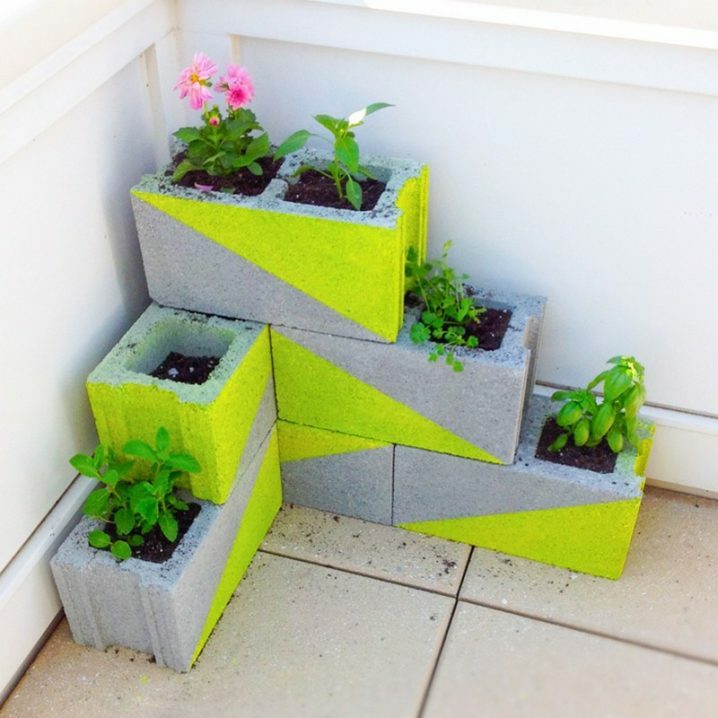 Cinder blocks can be also used as planters. Arrange them on three levels and decorate them with some neon color, so that they won’t look that simple. 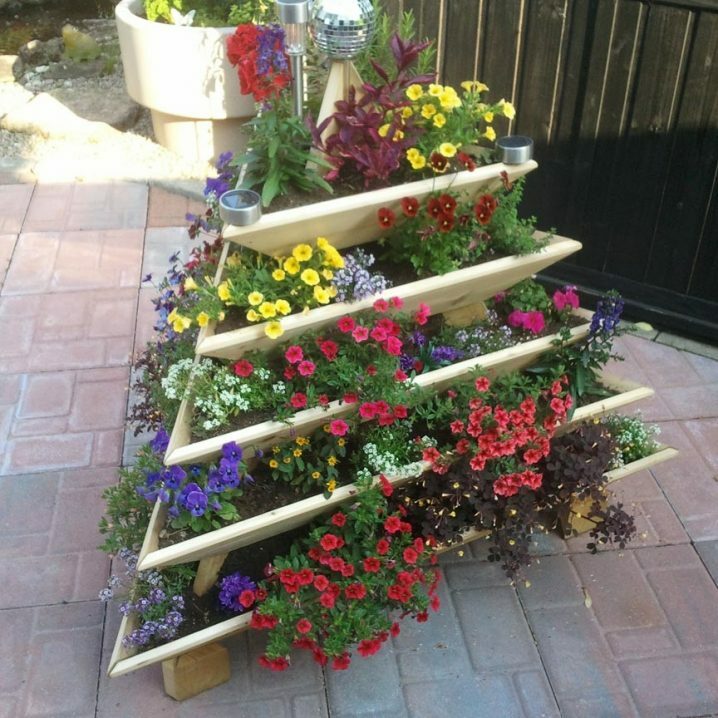 Tiered planters can be quite versatile and no matter if you choose to make some out of some old items or maybe buy some, you will for sure get a wonderful vertical garden. 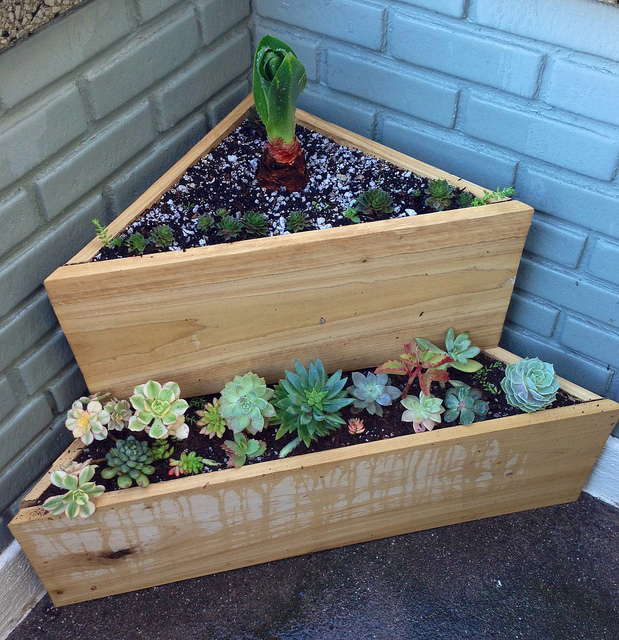 Such planters are a must if you have a small yard and won’t to save on floor space. Here are several more that you may love to see in your yard. Tell us in the comments which one of theses planters did you like the best. And of course, stay up to date with the content of Top Dreamer to find many other wonderful ideas for your outdoors.